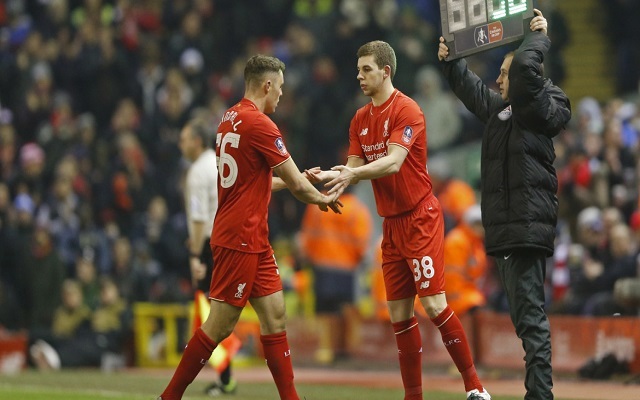 Nathaniel Clyne had more support, but Jon Flanagan has left on loan to Burnley and unbelievably, the Echo are now suggesting young Connor Randall could temporarily depart for Wigan. Randall was Clyne’s understudy, but now it seems Milner is the support option at both fullback berths if the youngster follows Cameron Brannagan to the Championship. We have Joe Gomez returning at some point, who’s capable of being used at fullback – but he’s naturally a centre-back and hasn’t played for coming up to a year now due to injury. Trent Alexander-Arnold is another option, but he’s 17 and will be better served developing with the Under-23s. If Randall does leave, then surely we will have to enter the transfer market before the end of the month for a fullback – although ideally we’ll need one who can play on the left and the right.